The Beauty Addict Asks: Is make-up safe for pregnant women? For me, pregnancy always comes with the word delicate. All pregnant women should be careful with what she eats, what she drinks, what she does and what she applies to her body. So what do you think the beauty addict did first when she got the positive news? I went to my OB right away and asked if I can still wear make-up. She told me that everything is safe except those beauty products that I can inhale much. Many make-up products are marked "noncomedogenic" or "nonacnegenic" — meaning they're oil-free and don't clog pores. These are safe and will not affect the health of your baby. Avoid cosmetics that contain retinol or salicylic acid (found in some make-up for acne-prone skin). If you want to be super careful during pregnancy, try some of the minerals-only make-up lines. These products use ingredients that primarily sit on top of the skin and don't cause irritation for most people. Avoid cosmetics that contain retinoids or salicylic acids. Otherwise, safe to use. During my first trimester, I was very sickly. Talk about morning sickness but mine was "all-day sickness". When I got past that stage, all I did was eat, sleep, eat and sleep. In short I got fat and lazy. Oh boy! I really felt so ugly that time. So I gathered my make-up stash and started applying make-up again. However, I became picky with the products I applied on my entire face particularly with foundations to protect my baby Liam. I chose to use Mineral make-up mostly. Maybelline Clear Smooth Mineral Foundation. I used the light Ochre shade. OceanMist Mineral Foundation in Light. Pregnancy made me sweaty so I preferred foundations that won't give me sticky feeling on my face. 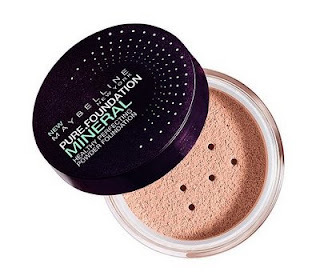 I find Mineral make-ups easy to apply perfect for lazy-preggos like I was. Both give me sheer coverage which I preferred to make my face glow a little. Make-up made me feel pretty and confident. Many people asked me if I was having a girl and I can't help but feel happy and *kilig*. 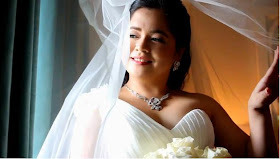 This video was taken during Tin-tin Bersola's baby shower party. Not in a proud way. You see? When you're pregnant there are many changes happening in your body. Hormones rising, bulging tummy, too many dark areas sometimes, stretchmarks and more fats! You can't really blame why pregnant women are often moody and hot-tempered. That's why make-up really has positive effects right? Because I firmly believe that a happy preggo = a happy baby. I didn't buy any beauty regimen when I was pregnant with my boy. I am too scared to use anything. People also commented on how blooming I was..they even said that pregnancy suits me because I gained weight (was too skinny kasi).